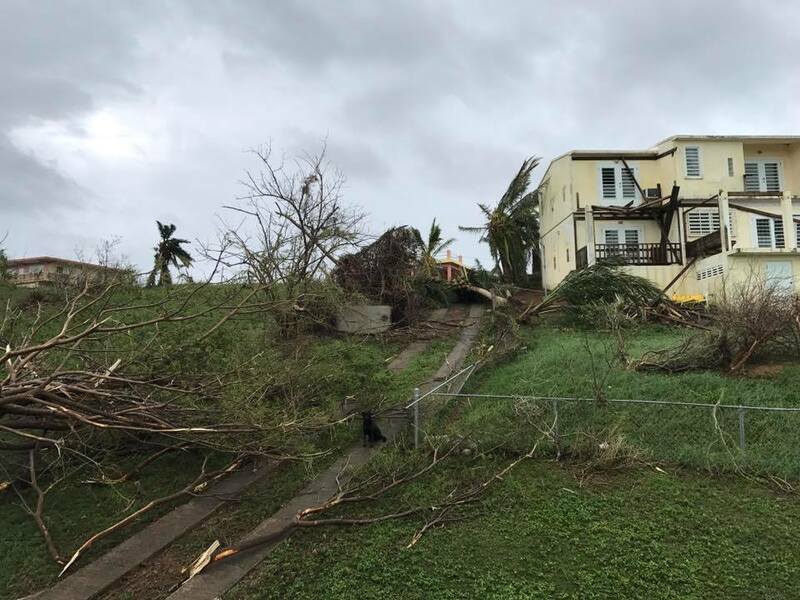 It’s now common knowledge that the hurricane Maria has caused wide spread destruction in Puerto Rico, Vieques and Culebra. Businesses and livelihood have been destroyed, leaving people without much hope of a livelihood or sustenance. What until recently was a major tourist attraction has been destroyed, leaving the 9000+ population to survive on handouts from the relief agencies. The handouts have been inadequate with whole families having to survive on meager rations and the MREs (Meals, Ready to Eat) being distributed by the relief agencies are barely palatable. Some stores have reopened, but the shelves are bare and fresh produce is not available in the stores. This is still a cash only economy. And since majority of the population are currently without a job, malnutrition is a real issue on the island. 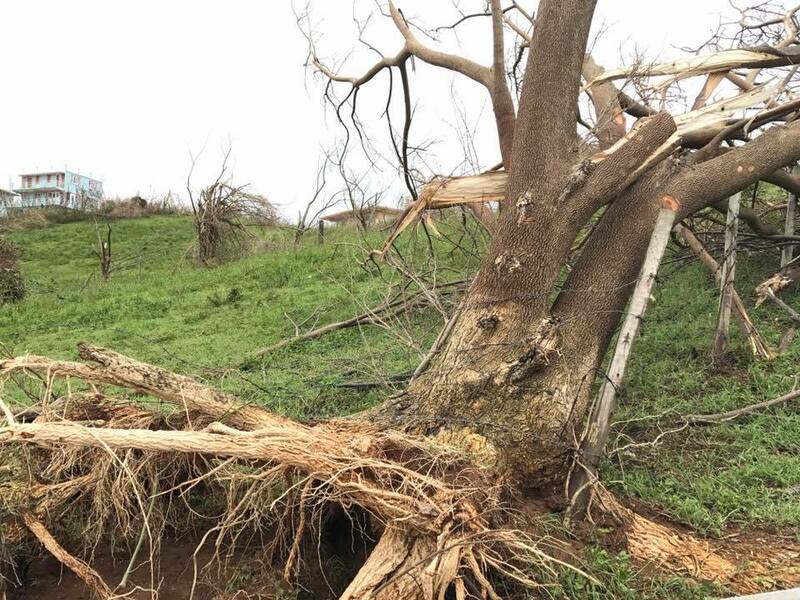 Like everyone else on the island, Tisha Asher has been impacted by the hurricane. Before the hurricane she had a successful food catering business, which is now at a stand-still. 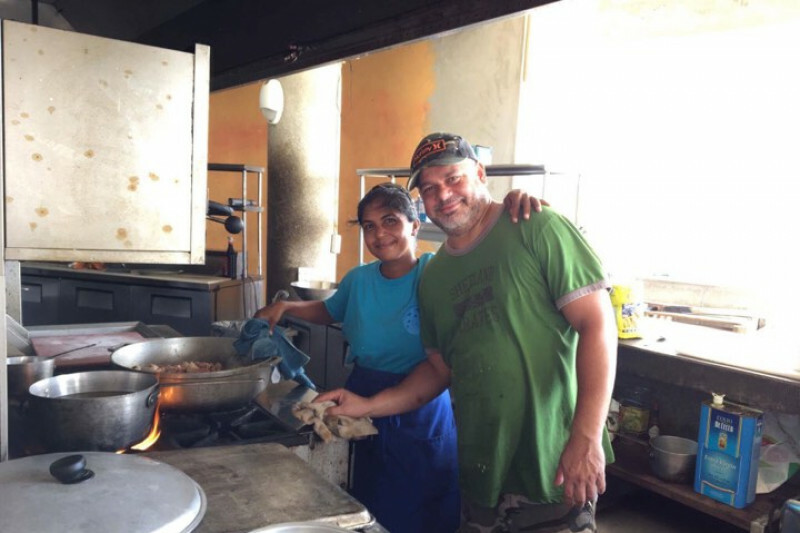 But rather than shut shop and leave the island, she is now using her kitchen to cook and deliver 100+ fresh free meals a day. Due to the lack of fresh produce in the stores, she has been growing vegetable plants in her garden to be able to provide what little she can in terms of fresh herbs and vegetables. Also, due to intermittent running water being she has been dipping into her water rations for cooking. 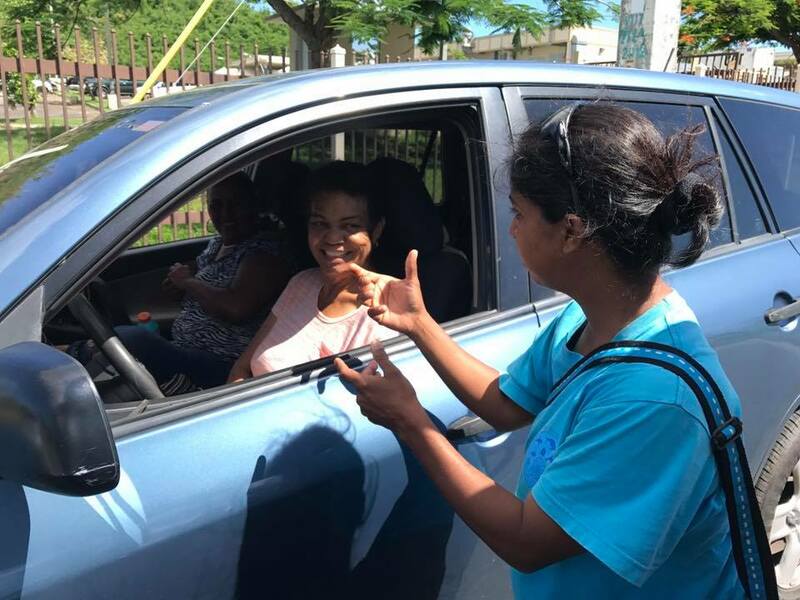 The hurricane also managed to damage her car, which requires parts from the main land, and she has to depend on the help from friends/neighbors to be able to deliver food to the needy. Please support generously, or if not spread the word within your community. 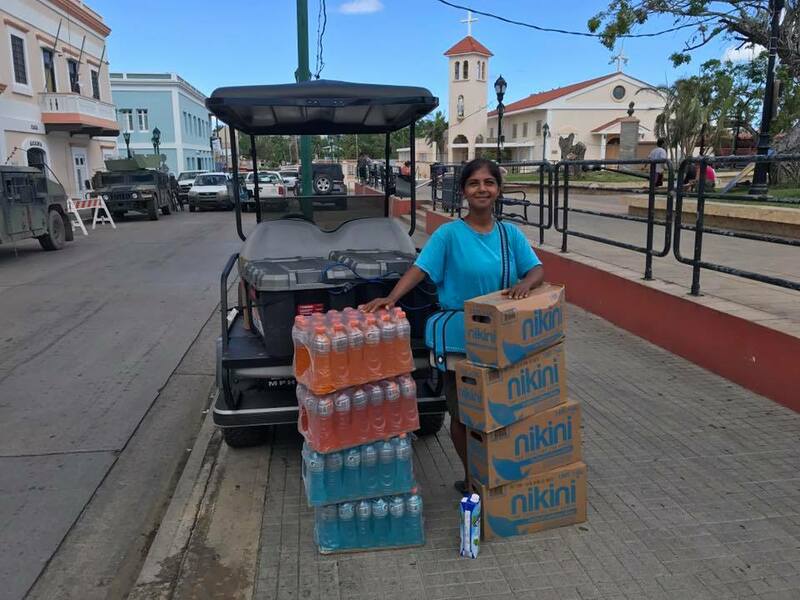 With the donations from Go Fund Me, she did manage to buy 18 cases of Gatorade and 12 gallons of water and distribute it to folks in need, at the plaza, gas lines, and at their homes. Overwhelmed by the support that we have received for this campaign. Spoke to Tisha today who confirmed that water is still an issue and she is down to a few bottles for the animals and her. We are hoping that the water supply is restored in the near future so she can restart the kitchen. Folks on the street have been stopping her to ask about when she will be restarting the food deliveries. 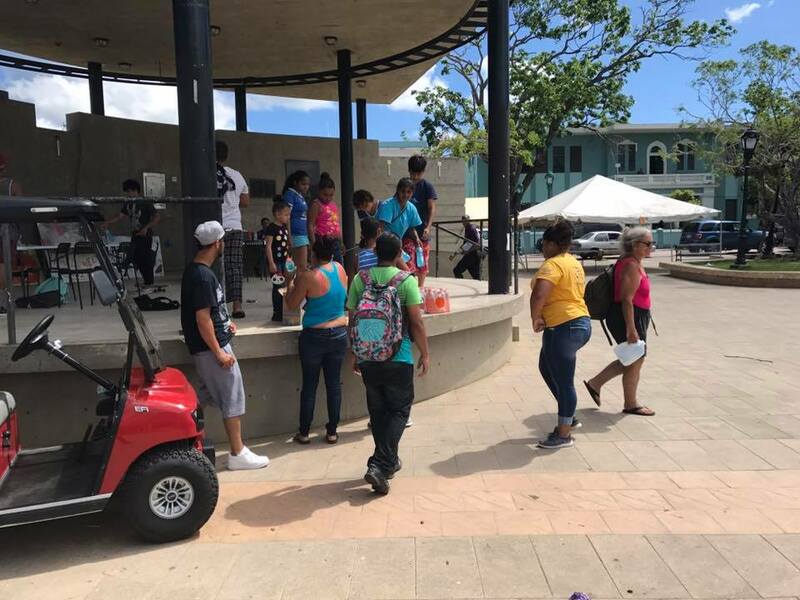 Considering the scale, supporting the community, a month after the hurricane hit, by providing healthy food alternatives should ideally be undertaken by the government. But the sad reality is that relief agencies either don’t care or they are incapable of supporting individual needs. This is the breach that individuals who are part of the community are trying to fill. Tisha, by her work, has forged a strong committed relationship with the community and will likely continue to help those in need until not required. This campaign was started, almost as an afterthought, to gauge if it was possible to expand the support for this effort. Based on the response we have received so far, it’s safe to say this is more than true. Will post any updates that I receive in the upcoming days. Stay tuned and hope to keep the momentum going to reach our goal and more.